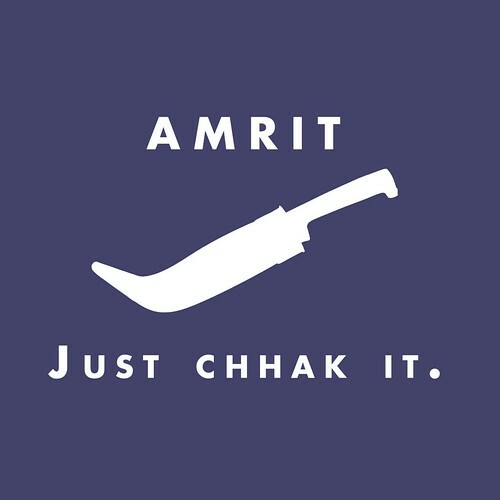 Here are some creative spoofs of commercial logos translated into a Sikh Message. I love it when people use their creativity to come up with fun things like this that give a message. To become an amrit dhari, doesn’t a person need to let go of attachment with family? And it is so difficult for me to let go of anger. I am comparing my life with others people’s life. They are people who are not amrit dharis and they have been rewarded with so much more (not just financially). FYI – the second image was not created by him. I designed it for use at a Sikh youth camp t-shirts this past summer. For your information the first image was not created by him either, I know this because my friend and I spent 2 hours getting the image exactly right over the summer. loll this is funny! surprised no1 has anything against it! 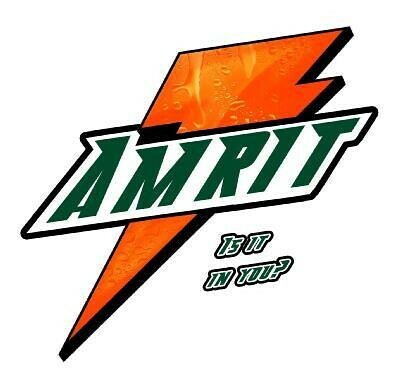 amrit just chaak it LOLL!! excellent work keep it up! I just noticed this image has spread all over hte web, without due credit. My friend Tarun Singh and I created this design awhile ago. I’m sure we both now regret not putting a logo on it.